At present, no. 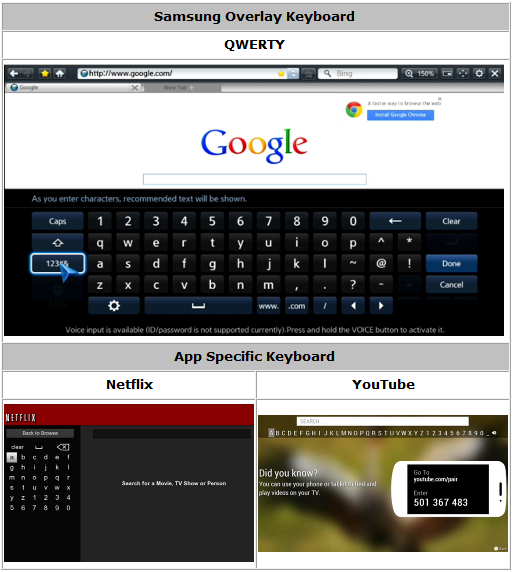 Some apps support the Samsung wireless Bluetooth keyboard and some don't. If an app supports the keyboard the Samsung keyboard overlay will appear when you're required to input text. If it doesn't (and a keyboard overlay specific to that app appears instead) the app does not support the Samsung wireless Bluetooth keyboard, as shown in the below images. Unable to operate TV with remote control.